KGF - Chapter 1 is Kanada period action film starring Yash, Ramachandra Raju, Anant Nag, Vasishta N Simha and others. The movie is directed by Prashanth Neel and produced by Hombale Films. KGF - Chapter 1 created a lot of buzz and was well received by the audience. The movie was also released in Hindi, Tamil, Telugu and Malayalam. The album received good response from the fans. Tamannah has appeared for a dance number called Mogam which was featured in the film. Tamannah’s fiery dance and the peppy music makes it an amazing video song to watch. Upendra Kumar is the music director for KGF Chapter 1. In tamil, the song is sung by Airaa Udupi and S Ganeshraja has written the lyrics. 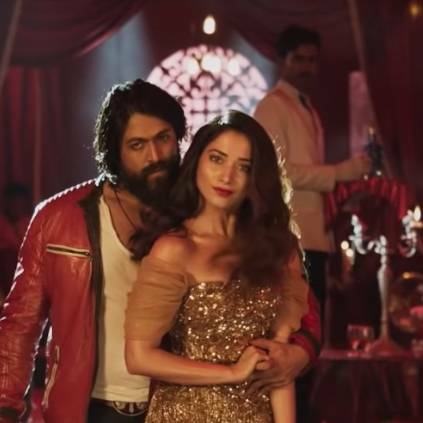 People looking for online information on KGF, KGF Chapter 1, Mogam song, Mogam Video Song, Srini, Tamannaah, Yash will find this news story useful.